With the growing popularity of outdoor living and social areas, turn to H & H Lawn & Landscape of Omaha for fire pits, fire tables and other outdoor kitchen and patio accessories. Think of these landscaping products as “outdoor jewelry” that will allow you to turn your Omaha backyard into a perfect oasis, equally well suited for quiet evenings alone or entertaining large groups of guests. Our landscape professionals are dedicated to helping you accent your patio or outdoor kitchen with the custom concrete fire pit or fire table that enhances your outdoor living space, helping you enjoy your evenings in the great outdoors. Our custom concrete fire pits will provide you and your family with years of entertainment, warmth and comfort in Omaha. When there’s a chill in the air, there’s nothing more comforting than sitting around a fire pit right in your backyard. H & H Lawn & Landscape designs elegant backyard fire pits and fire pit tables suited just for your space. Our team of professionally certified landscaping contractors will help design the perfect feature piece for your backyard and take care of all the installation work. The only thing you’ll have to do is sit down and enjoy a peaceful summer or fall night sitting around your newly installed fire pit. Whether you are thinking of doing a brick fire pit, stone fire pit, or stone fire table, gas or wood burning fire pit, let H & H Lawn & Landscape transform your backyard from ordinary to extraordinary. Keep the summer memories going all year long with your newly designed and installed fire pit or fire table from H & H Lawn & Landscape in Omaha. 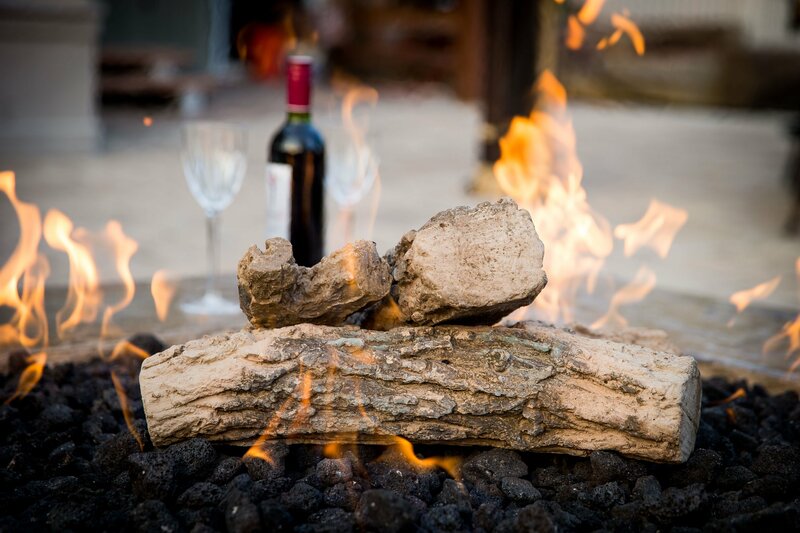 Give us a call today to get started on designing the fire pit of your dreams. We can also install a custom fire table that will enhance the outdoor living amenities of your Omaha home and provide a conversation starter that you will be proud of. All fire tables can be hooked up to natural gas or propane. When using natural gas, there will be a plumber’s charge for running a gas line from your house to the table and to install a burner. Gas fire pits are one of the simplest fire pits to install in your backyard. With the flip of a switch, or turn of a dial, you can transform a boring backyard into the most lively backyard on the block. Gas fire pits create an ambiance of warmth, simplicity, and unique style with the capability of customizing the rocks, logs, or glass within. Build a fire within minutes with a new gas fire pit. Wood burning fire pits invoke the instant feeling of sitting around a campfire. Feel the warmth, listen to the crackling wood, and roast some marshmallows from the comfort of your backyard! From stone, brick, or additional materials, H & H Lawn & Landscape can design you a custom wood burning fire pit that fuels off real wood. Call us at (402) 916-9500 to schedule an appointment for a free landscape consultation. We will listen to your ideas, wants and desires incorporating them into your landscape design at your Omaha home, using the finest landscaping supplies. 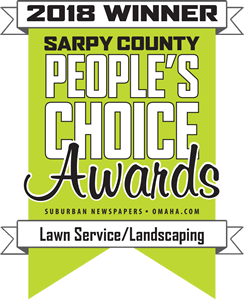 Call our team of Omaha landscaping experts at (402) 916-9500 to schedule an appointment for a free landscape consultation. We will listen to your ideas, wants and desires incorporating them into your Omaha landscape design. Call us at (402) 916-9500 to schedule an appointment for a free landscaping consultation.